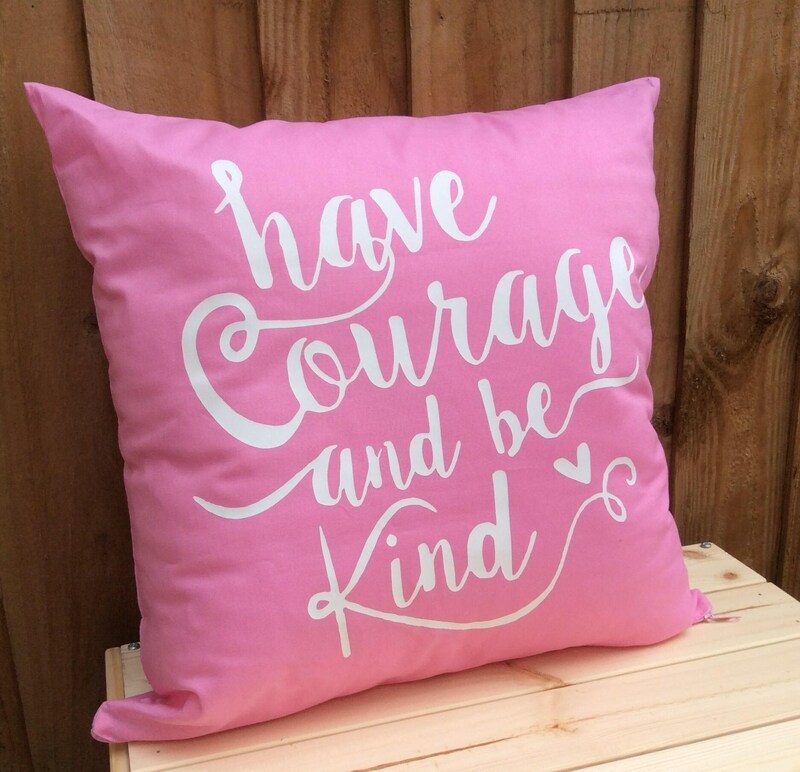 An inspirational cushion cover with a quote to say "Have courage and be kind". Designed and hand printed with vinyl by Miss Patch. 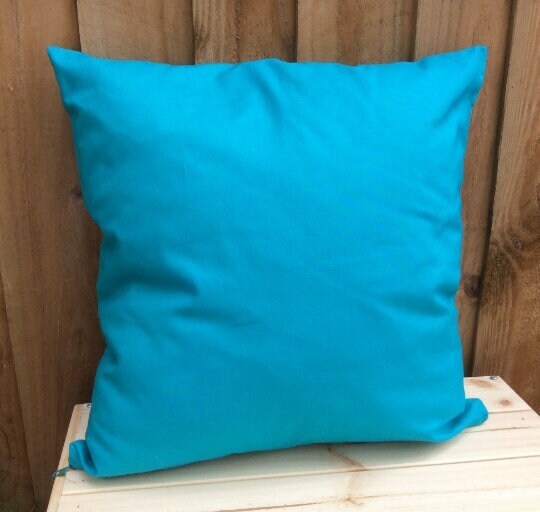 16x16inch (41x41cm) square 100% cotton cushion cover with zip to fasten. Cushions are made to order when you make a purchase, so please allow up to 5 working days for your cushion to be created. A range of text colours available. Please select your choice when making your purchase. 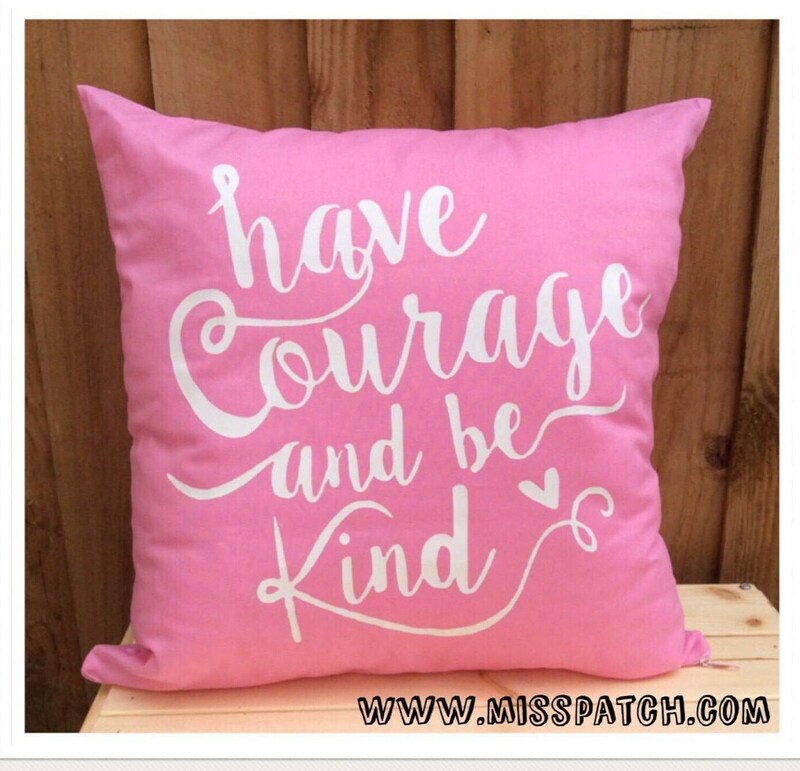 Please note, at this time we can only offer one text colour per cushion. Machine wash inside out at 30 degrees and iron on low temp. 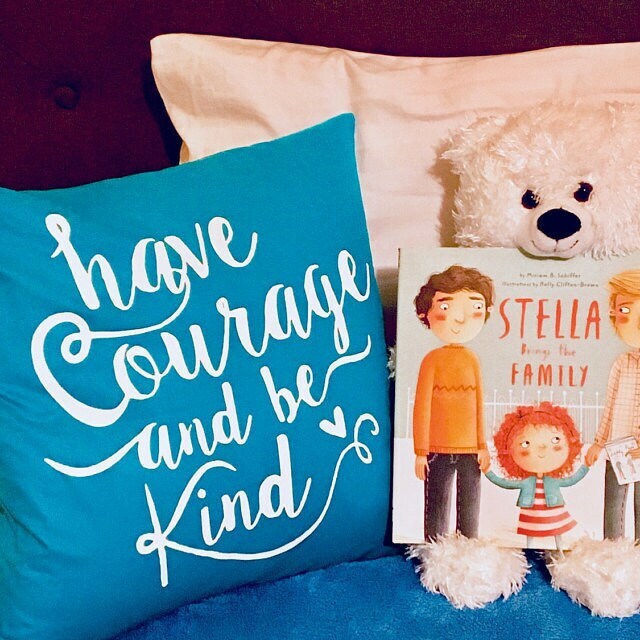 I love this pillow!!! It brings me so much joy every day! thank you! !